5.11 Concealed Carry Jackets are designed to remain inconspicuous and blend into any environment while offering accelerated access to a holstered sidearm. Whether you need covert outerwear for a tactical operation or you’re in the market for CCW jackets that provide superior utility without sacrificing style and comfort, 5.11 concealed carry jackets have the features you want at a price you can afford. 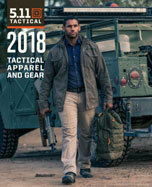 Engineered with feedback from operators in the field, 5.11 CCW jackets share many accessibility features with our tactical and duty uniform outerwear, ensuring quick access and reliable performance along with enhanced durability and weather protection to keep you fully prepared in any environment.